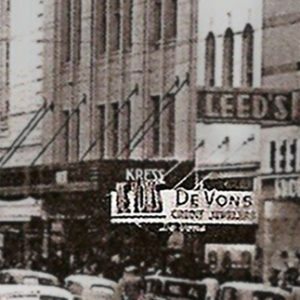 DeVons Jewelers is a multi-generational family tradition of fine jewelry started by the Merksamer family in 1929 in Sacramento, California. Still headquartered in its hometown, DeVons operates twelve fine jewelry stores in Northern California and Nevada. Our philosophy has always been to put our customers first by providing unsurpassed service and selection. We are proud to offer the highest quality bridal and fashion jewelry, large selections of loose diamonds, and unique styles not found elsewhere. In addition, our sales staff is expertly trained and passionate about providing the education and information you need when purchasing diamonds and other precious items.